The switch from analogue to digital has introduced a whole host of potential pitfalls when it comes to keeping sound quality high. But it needn’t be that way. These seven rules will help you ensure your DJ sets sound as good as they can. I think we can all agree that music is a powerful and wonderful thing, liberating both the mind and body. In my experience, the cleaner and purer the music, the deeper one’s consciousness can engage with it. Pure vs distorted sound are as different to the mind as 2D vs 3D images are to the eyes. We have a duty of care to our listeners to ensure that everything in the audio chain is as clean and transparent as possible. Distortion hurts and drives people away from your music, particularly in today’s clubs where sound systems are loud. So more than ever, it’s important to understand what’s involved, in order to strive to deliver a clean signal when you’re DJing or producing music. That’s what these 7 Rules For Great DJ Sound Quality are designed to help you with. “Red” is there for a reason. Don’t rely on your gear to compensate for your ignorance of this; do it yourself. That means adjusting the gain controls so the individual channel meters aren’t in the red; making sure your master output meters aren’t in the red; and making sure, if you can, that the amplifiers in your venue aren’t in the red. If you’re lucky enough to DJ with a sound engineer, respecting this one simple rule is probably going to be enough to get him 100% onside – and when it’s time to go louder, he’ll help you do it right, not hinder you by cutting your already-distorted efforts back down to size at his end. By lossless I mean experimenting with WAV, FLAC or other lossless formats over “lossy” formats like MP3 or AAC. When you’re ripping your tracks to hard drive, at least try these formats instead. 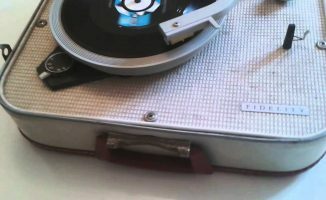 No, it’s not always as straightforward as MP3 or AAC (metadata, compatibility), but that doesn’t stop you checking what is compatible with your library software and DJ software of choice, seeing which formats let you have the metadata you’re interested in, and doing some experimenting. There may be a day soon when nobody uses MP3s and everyone uses lossless audio. DJ software is getting better at playing more formats, and with digital storage ever-increasing and transfer rates equally getting faster, there may be a day soon when nobody uses MP3s and everyone uses lossless audio. As someone with an investment in great DJ sound quality, wouldn’t you like to be on that train early rather than late? Of course, there are times when you can’t or don’t have a lossless version of a tune. I’m not saying never use MP3s. More, I’m saying be aware that there is a difference, and listen out for it. At least, give it a go and make your own mind up. I demonstrate these differences as part of my job, and when given a straight comparison, most people are surprised. If you make mashups, re-edits, or your own productions, there’s no point mastering them as pristine lossless files when you used a load of low bit-rate MP3s as your building blocks! So when you start making, as well as playing, beats, make sure you’re particular about keeping the quality of your sources as high as possible. A finished mashup, re-edit, remix or own production is only ever going to sound as good as the worst-sounding sample it contains. If you are “borrowing” far and wide to come up with new and exciting sounds of your own, I’d say stick to CD quality as your minimum – and again, no MP3s. Think of your sound quality like looking at a beautiful scene through glass. With analogue sound in years gone by, you maybe looked through two or three panes of glass to “get” to the view, and they were relatively easy to keep “clean”. Every complication you introduce to an audio chain is like introducing an extra layer of glass between you and a beautiful scene; it’s a potential cause of distortion of your ‘view’. 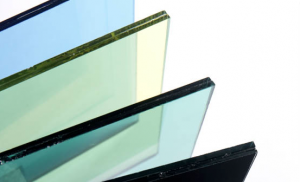 With digital, you’ve now got, say, 10 panes of glass (it’s certainly many, many more than simple old analogue). Now, if each of those panes is scrupulously kept clean, the view will be just fantastic. But it only takes one pane to be dirty, and the view is ruined, even if the other nine are all fine. So what are these “panes”? They are the stages in an audio signals progress through software and hardware. For instance the extra layers of processing in your DJ or production software: things like auto limiting, auto gain, effects and so on. The key thing here is to uncheck and unplug all unnecessary features that you’re not using in your software, and if you’re producing, to keep plugins to a minimum. I’m not saying never use this stuff; just use it mindfully, and switch it off when you aren’t using it. And listen out for the differences. If you use a DJ controller, you may or not realise that you almost certainly have one of these built-in to it. You may also have a separate one, though: No matter. You use one somewhere along the line, that’s the point. Traktor sound cards are pretty good, Serato/Rane devices have upped their game of late and also sound OK – but many of today’s audio interfaces struggle to get past acceptable and some are downright awful. So if you want to improve the sound of a cheap controller, getting a decent sound card is the way to do it. For me, easily the best value sound card on the market for DJs is the Echo Audio AudioFire 4. In tests, this outperforms sound cards costing thousands, which is staggering for a relatively budget unit. Unfortunately it’s Firewire only, but Echo Audio has recently launched a USB card, the Echo 2. I’ve not heard it yet, so watch this space for an update. 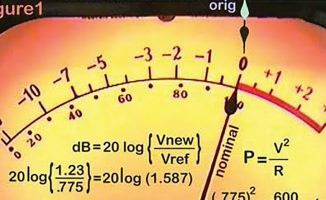 Compression is what makes the quiet bits louder and the loud bits quieter, in order to give more overall volume in a mix, but at the expense of dynamics (because now, there’s not so much difference between the loud and quiet bits). 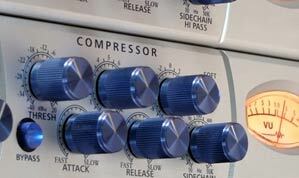 Sure there’s a place for compression, especially in dance music; whole sounds have been built around the creative use of it. But again, using it mindlessly can make for downright fatiguing listening. And at its worst, it can actually make music clip and distort. 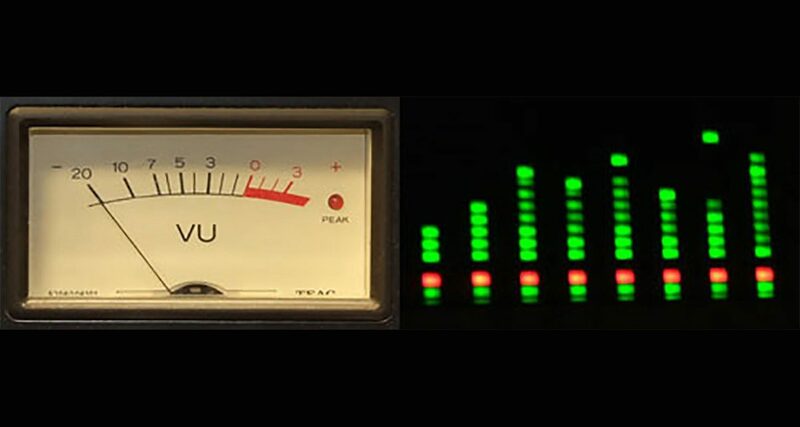 There’s a movement called The Loudness War that has noted and championed this cause for a long time, and it’s worth restating it here: Compression is the enemy of good club sound. A decent sound system in a club doesn’t need it, and a well-mastered track that isn’t over-compressed will always sound better than one that is. This one is so widespread, it deserves its own point. If you use keylock, master tempo, or whatever it happens to be called on your controller and software, know that this is extremely disruptive to audio quality. (For the uninitiated, this is where you “lock” the pitch while altering the tempo, or vice versa, of a track or sample). It’s a useful tool, and I’m not saying don’t use it – but just do it mindfully. Best to keep it to a minimum – use it for tracks that would be pretty close anyway to each other anyway, and lose it as quickly as you can. Don’t keep pitch shifting on all the way through a track; return to pitch zero and turn it off. What I’ve outlined above are objectives, they’re the ideal. I make no apologies for caring about them, though: as a species, if we hadn’t striven for excellence, we’d all still be living in caves! But then again, I do realise that a life half-lived is better than none. I’m not one of these people who says “analogue is always better” – we are where we are, and despite the debate over analogue vs digital still rolling on 20 years later, this is a digital age we’re in. I actually think that digital sound, done properly, is better than analogue – but you need to know how to do it properly and find the software and equipment made by people who know how to do it properly. So what I’m asking you to do is be aware that these things do matter, and to investigate them. • Tony Andrews runs Funktion One, and is a global evangelist for better sound. You can watch him expounding on some of what he’s written here today in this TEDx talk. Have you had issues with poor digital files? What steps do you take to ensure your digital DJ sets sound as good as possible? Do you think this is a growing problem, or are things getting better? Please share your thoughts in the comments. All points made are correct and wise but I particlularly like the comparison of complicated audio paths with the glasses between the eyes and a view. This is really on point, and something that lot of people seem to not comprehend – always try to have the least possible alteration of your audio signal. I’m with you on that last point, and I think the point with digital right through from instruments to the last D/A converter before the speakers is that it’s easier to maintain a consistently high quality sound, even if it isn’t the purest. Therefore screwing it up or not is almost entirely in the users’ remit, unlike with analogue which is so much more prone to losses, interference and distortion all along the way due to rules of physics. As you said, nice article. I agree. 320 MP3s are good for live performances, and I’d stick with lossless ingredients when producing anything that will later be encoded to MP3 for distribution. Interesting that, I found Traktor sounds much better than iTunes certainly with iTunes 10, still to compare 11. iTunes sounds kinda muffled, kinda like its re-compressed from 320 to 128kbs – its not subtle its night and day difference. Both are output through my audio 8 sound card through a decent hi-fi. I’ve tried changing some of the settings in iTunes but still the same – no eq pre sets, no compression etc. Maybe Traktor is pushing it out louder. I want to add the following, invest in a pair good quality and sturdy cables to connect your soundcard or controller to the mixer or an amp. I always bring a set of cables with different connectors (XLR,jack etc.) with me, so I can make sure my part of the sound is good. It also can save you from what I call cable stress. this can happen when there aren’t (enough) suitable cables in the venue you’re playing. One thing to add, when you use certain quality audio, lets say 320Kbps MP3, stick to it! Don’t mix-up worse quality audio or better quality audio cause that will cause very noticeable differences. Been wondering about the true added value of using Platinum Notes. The largest difference in MP3 files , be that the encoding is ‘truthful’, is mainly the gain. Which can be adjusted by using ReplayGain which doesn’t actually alter the file. I understand the added value for specific recordings, but I find it kinda scary to run a program like Platinum Notes over my files since it actually alters the file. True JB, I understand that poses a problem to many DJs and their libraries. For me it was like I had little choice, as I said I´m not very proficient so I once just tried PN at first and stuck with it. Now I just run every purchased/ripped/produced tracks thru it and MiK before adding to my iTunes. But I make sure it´s all 320kbps or at least 256 (I understand that you cannot “de-compress” a compressed file but still I chose to get 320 for my PN´d files anyway…). Many thanks tony , great write up ..thanks for taking the time. Bit rate on digital tracks doesn’t always tell the full story; more often I am finding very poorly mastered/produced tracks on DJ pools, and on iTunes, regardless of the high bit rate. Nothing annoys me more than having to turn my trim past 11 o’clock and over-adjusting the EQ to compensate for poor MP3/AAC. iTunes apparently has no quality control; I prefer to source older music on CD or Vinyl. Those formats are not immune from poor mastering either, but 99.9% of the time sound great! One thing not mentioned here is mobile dj’s. You can follow all of these advise and it still sounds crappy. Too weak amps, too small speakers, budget DSP’s etc. Get out on the dancefloor and listen to how it sounds! If it sounds a litte bad on the stage/booth it will sound alot worse on the floor. 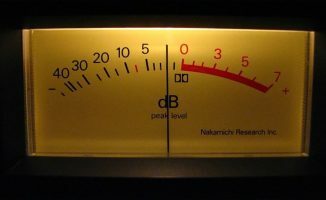 Get a good limiter/DSP to control the amount of sound you are feeding in to the amps. i don’t understand how “auto gain” (i.e. in Traktor Pro) can make it sound worse? question about key in traktor pro – when pith is 0. does the “key” function still affect the sound? Great article. I’m new to Djing. 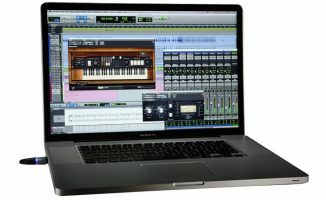 In regards to the good quality audio interface point, would one need to purchase an additional audio interface such as Echo if using a controller that already has an interface? Such as the Pioneer DDJ-SX Controller. Or is the DDJ-SX fine on its own in terms of sound quality. The DDJ-SX is fine – try it and only if you think there’s a problem look at alternatives.